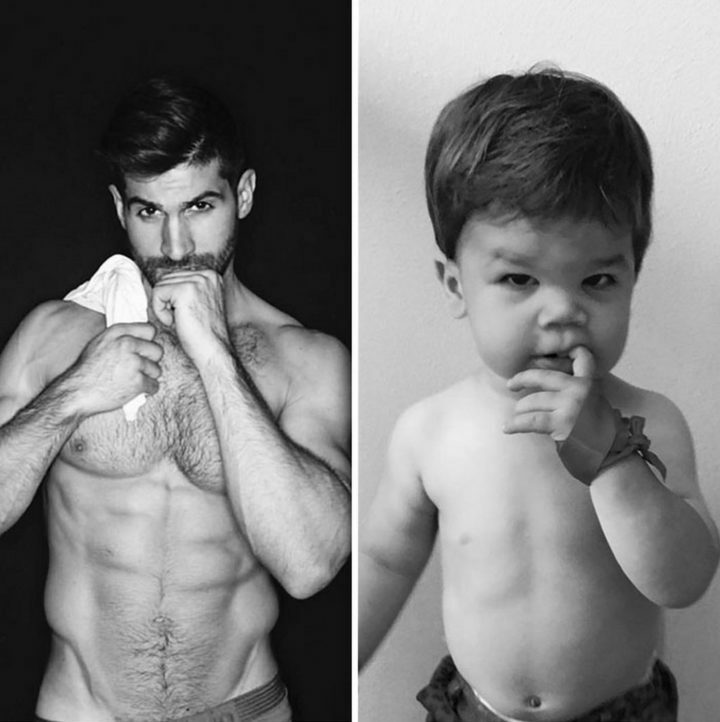 Being a model may look glamorous but it’s harder than it looks and the competition is fierce. 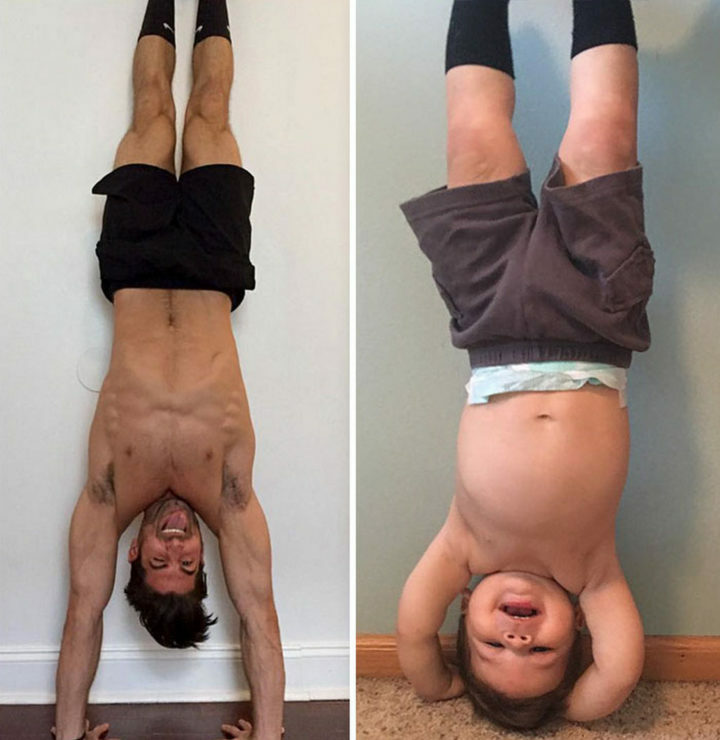 It’s even more difficult when your own 18-month old nephew is competing with you! 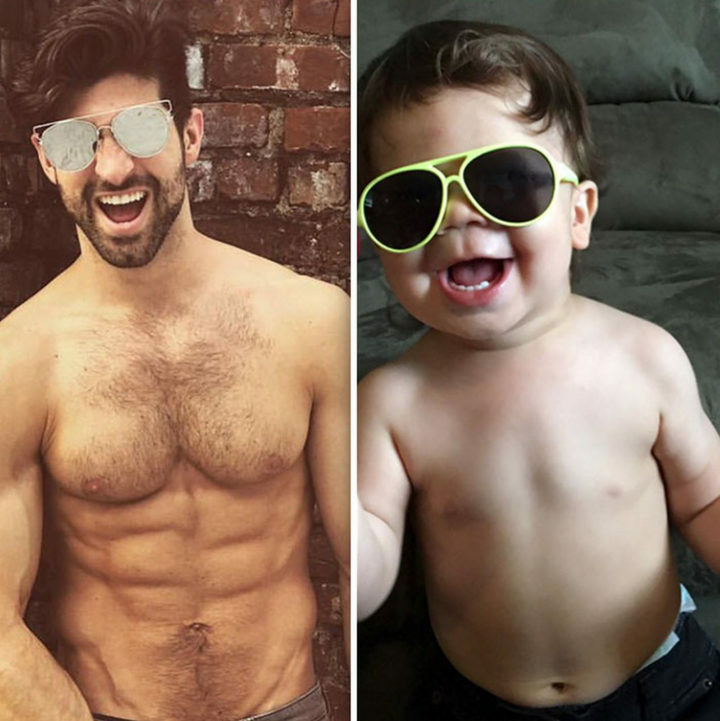 Model Aristotle Polites is a successful model and regularly shows off his physique on his Instagram account. 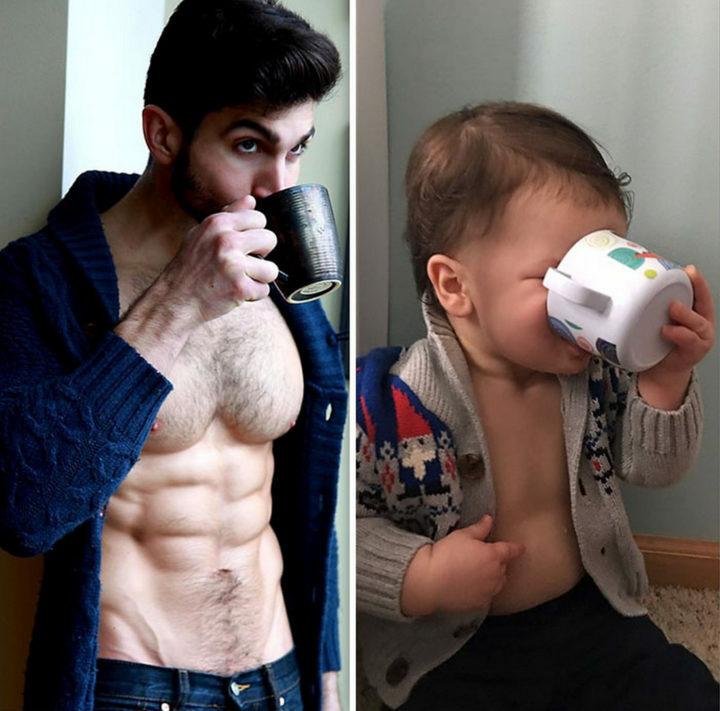 Aristotle’s older sister Katina Behm loves her brother and thought she’d have a bit of fun and have her 18-month-old toddler recreate his poses. 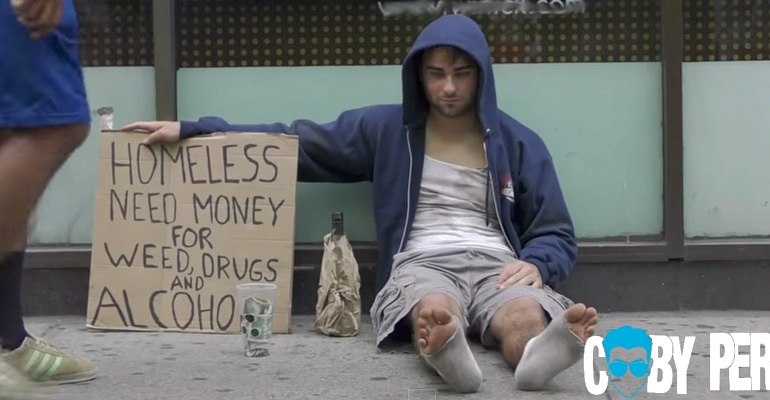 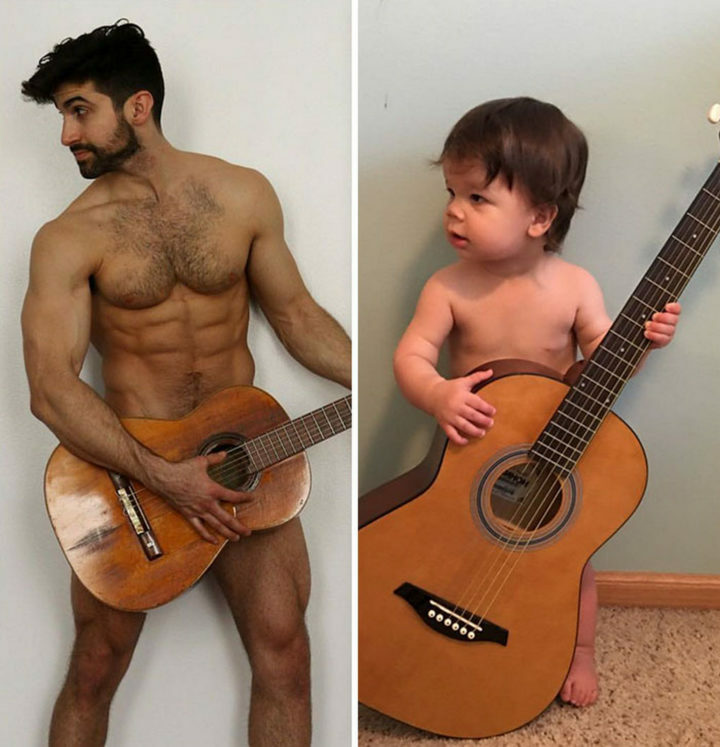 The end result is hilarious and the modeling duo has several photos that are simply priceless. 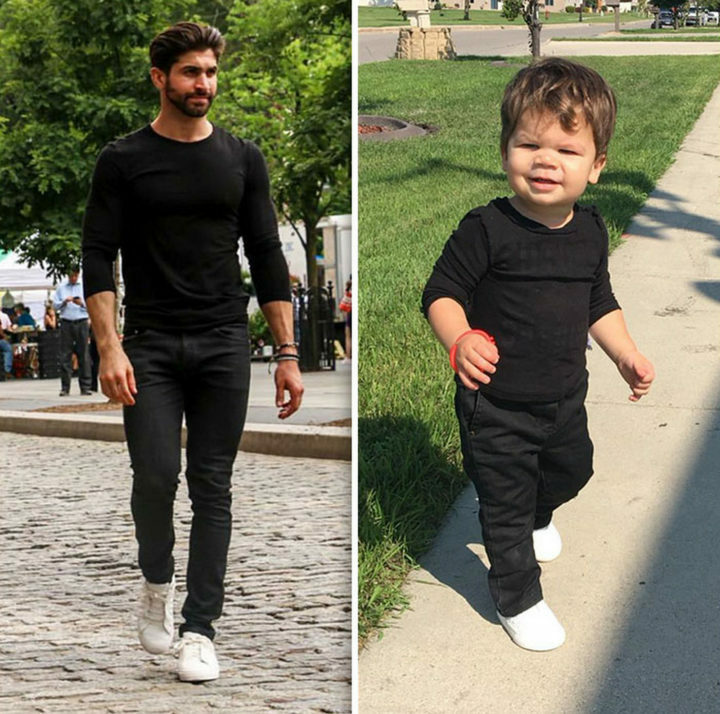 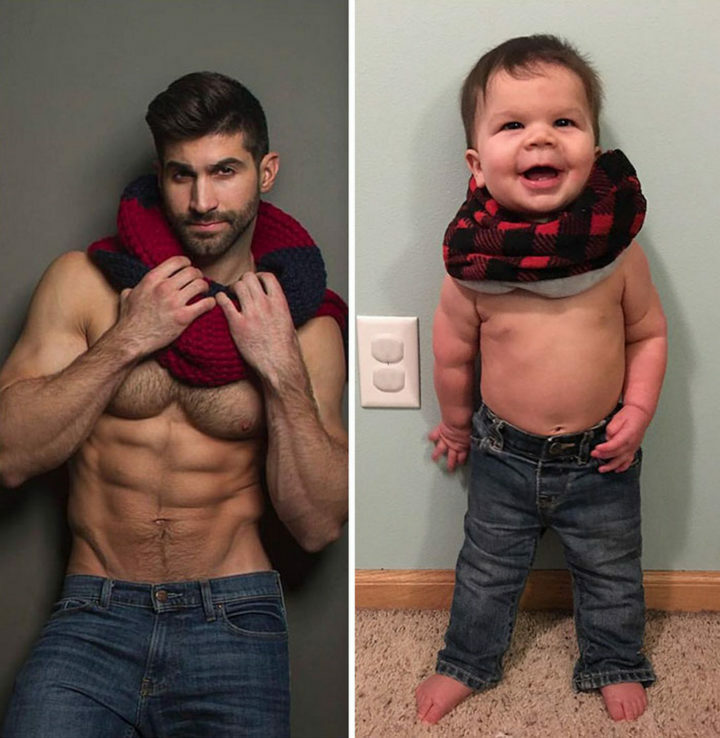 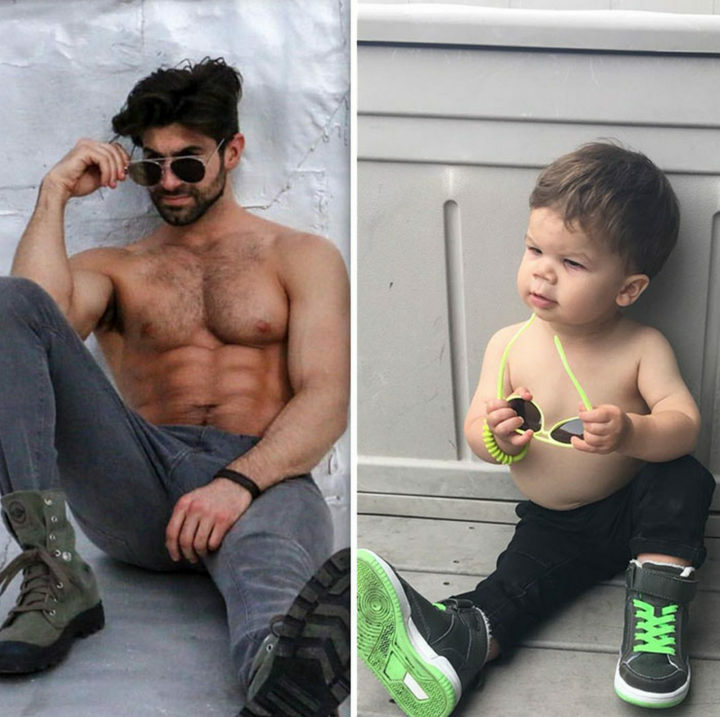 1) Enjoy these photos of model Aristotle Polites and his 18-month-old nephew Augie. 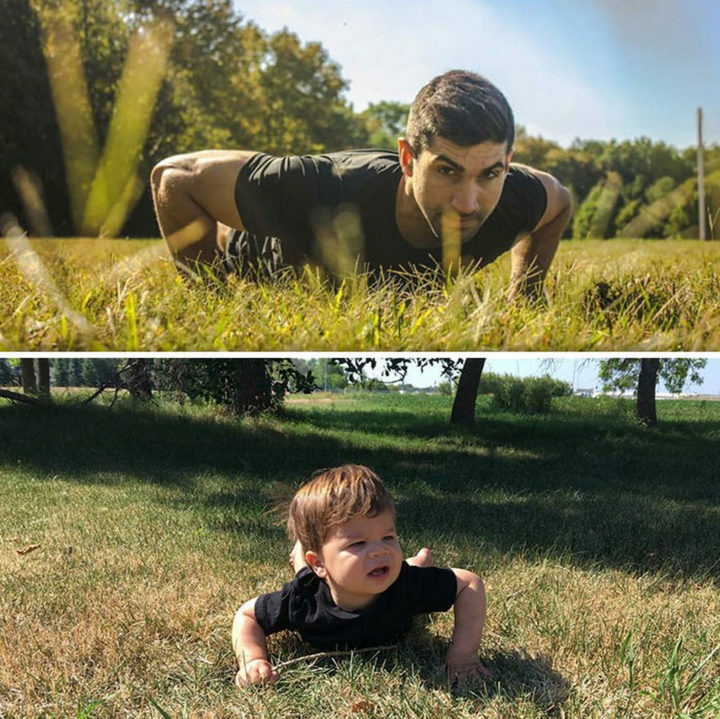 Just like this raccoon trying to steal a model’s lunch, Aristotle’s little nephew Augie is trying to steal his uncle’s lunch but it is so cute! 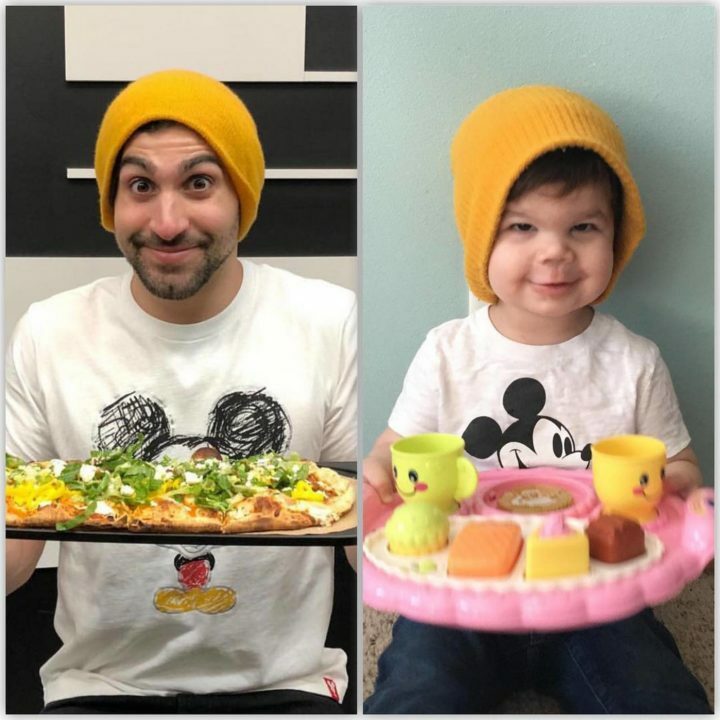 For more of their adorable photos, please visit Augie and Aris’ Instagram account. 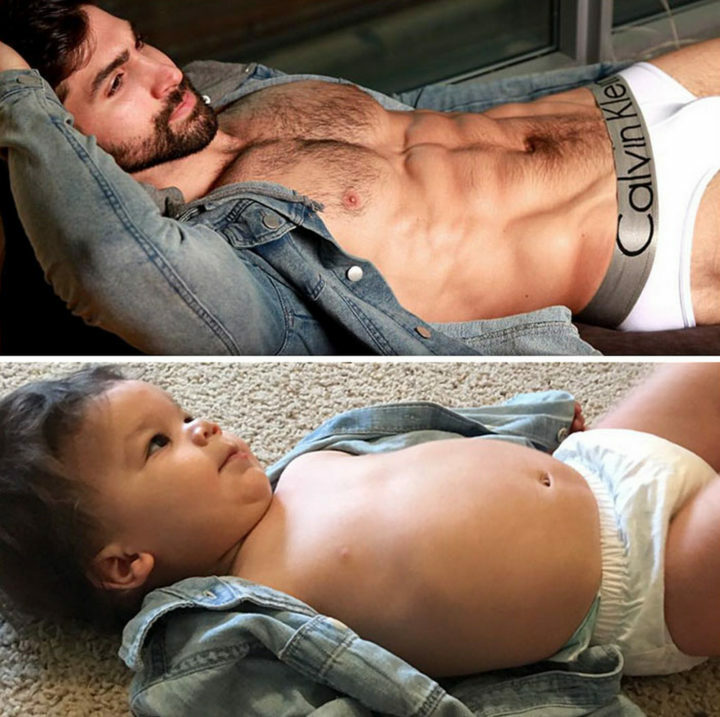 Please share this model being hilariously upstaged by his nephew with your friends and family.